The price for disobeying Dr. Heinemanns orders to operate on the mayor is costly for Dr. Tenma. His career begins to plummet. The boy whom he saved finally awakens, but a horrible incident occurs soon after. Adolf Junkers has information about the serial murders that is vital to the police, but he is afraid to reveal them. Dr. Tenmas care for Adolf Junkers however wins him over. His close relationship with Junkers however leads him to a night of shocking horror. Tenma and Nina return to the Fortners’ residence to find Mauler and Nina’s parents dead. Two detectives arrive to take them to the station for questioning, but certain things dont look right. Inspector Lunge investigates the murder of a prostitute and suspects a senator named Dr. Boltzmann of involvement. His dedication to his work however takes a toll on his family life. Meanwhile, the vindictive Eva continues to press Lunge to catch Tenma. She also has a new lover, her garderner. Dr. Tenma and Nina Fortners investigations lead them to a powerful man known as The Baby, who belongs in an extremist organisation. They soon learn that the organisation has special plans for the Turkish district tomorrow. Richards past and present situation is revealed. Johan continues to bond with the Schuwald family and his intention is revealed. Robert delves into Johans past and makes a shocking discovery. Dr. Gillen speaks to Peter Jurgens, a serial murderer about Johans possible involvement and gets a tragic reply. Johan confronts Robert about Stephen Joos. And Dr. Reichwen receives tragic news from the police. Suspecting foul play in Roberts accidental death fall, Dr. Reichwen makes some discoveries in his investigations. But as he later realizes, his investigations may have put him in harms way. Dr. Tenma and Dr. Reichwen finally meet. Dr. Reichwen intends to proof Dr. Tenmas innocence in the homicides, but Dr. Tenma has other ideas. Lunge tries to get into Dr. Tenmas mind by pretending to be him. Dr. Gillen learns something about Johan during an interview with a psychotic killer. Dr. Reichwen tries to warn the Lieberts of Johans true nature. Dr. Tenma scouts for a perfect sniping location. The episode begins with a fairy tale about a Monster without a name. Nina reads the story from the picture book and has a sense of deja vu. Johans evil plans for the book donation ceremony is carried out. Dr. Tenma meets a big obstacle in his attempt to kill Johan. The episode introduces Grimmer. Grimmer is a freelance journalist doing an in-depth research into the abuses in the orphanages in East Germany. 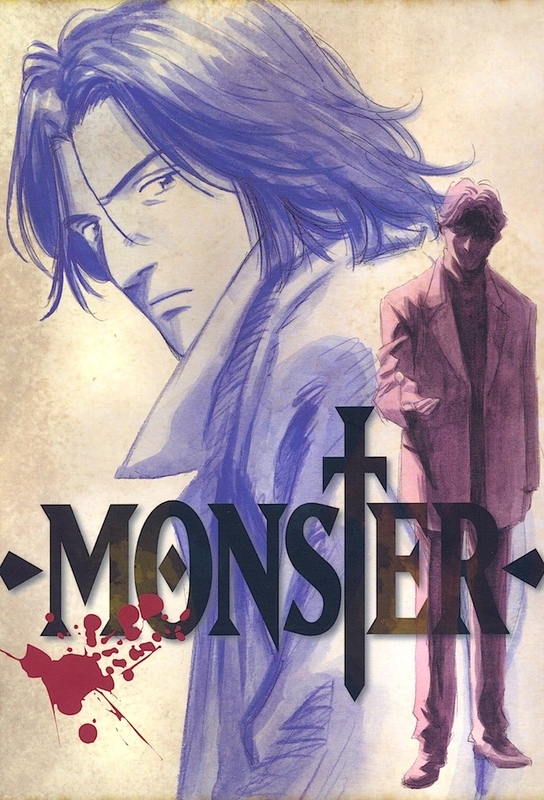 Grimmer meets with Dr. Tenma during their trip to Prague, and they become more acquainted when Tenma is faced with an immigration problem. Grimmer has the key that Petrov gave him, and a former Czechoslovakian secret police organization wants it. Caught and tortured, Grimmer tells his abductors about the Magnificent Steiner. Dr. Tenma learns about Suks fugitive status from a journalist. And sets out to find him. Meanwhile, Suk and Grimmer goes into hiding, but is quickly found, surrounded and attacked by the STB. The STBs assault comes to a bloody end. Ninas experience in Prague is a nightmare for her. Tenma and Grimmer meets with a top man in the Czechoslovakian STB. They are offered a deal which Grimmer refuses to accept. Johan visits Suks mother. Tenma and Grimmer learns of his visit. They, including Col. Ranke, listen to Johans tape. Lunge arrives in Prague for a holiday. His investigation leads him to the sketches of Franz Bonaparta. After hearing Robertos threat against Eva, Tenma decides to confess to all charges against him so he can be placed in the same van transporting a prisoner to a Federal Penetentary as the prisoner is arranging for a jailbreak. Tenma and Milch are on the run with the injured Gustav and Helene. Eva finds her life in danger when she discovers that the attorney shes supposed to meet, Mr.Baul, is none other than Roberto. Dr. Tenma takes Verderman hostage in a desperate search for Eva. And Verdermans dark past is revealed. A flashback to Johan’s and Nina’s past, to the time before the Liebert’s homicides reveals the reason behind Johan’s killing. Police makes a startling discovery at the burnt down mansion. Tenma finally learns where Eva is. And Lunge reveals Lipsky’s true identity. Martin, a hired hand, is hired by General Wolfs ex-associates to ‘take care’ of Eva. But his emotions get in the way of his orders. Tenma manages to find Martin. A drunken Eva spots Johan at a party. Martin receives his final orders from his boss but his feelings gets in the way. And Martin gets way over his head when he tries to investigate Johan and his disciple, and the truth about his past is revealed. The Baby is killed by a prostitute, and his death sends shockwaves in Petr Capeks organization. Capek becomes paranoid as to who is loyal or not and accidentally kills one of his guards. He makes it to his cottage where Johan is waiting for him. Tenma runs into Lunge, the latter apologizing for his previous accusations against Tenma. Nina and Dr. Gillen rush to Ruhenheim. After the winning lottery couple is wounded in an attack on Bonapartas hotel, Grimmer rushes out to the streets to reason with the unknown assailants.